Come out and bowl with PRIDE..whether you are a LGBTQ individual or an ALLY all are welcome to come celebrate the New Year and our diversity. 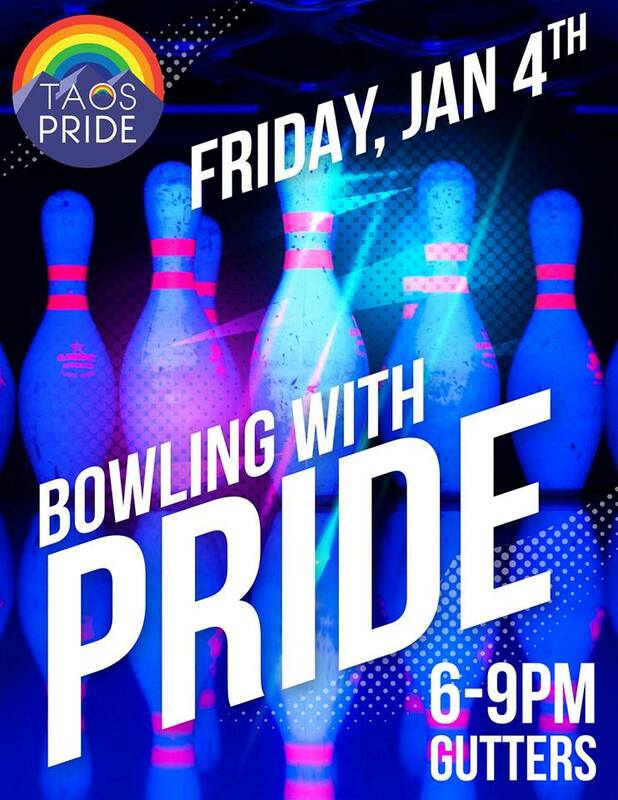 Taos Pride is partnering with Gutters and other Taos businesses to create a fun FIRST FRIDAY event that supports and promotes everyone in our community to be exactly who you are. January 4th 6pm to 9pm. Bowling, dancing and having fun. There will be prizes!! A portion of the proceeds will benefit TAOS PRIDE!